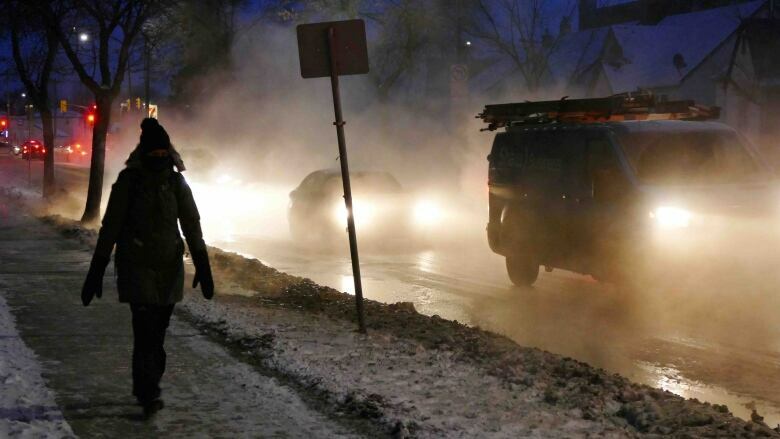 A morning water main break shrouded a Winnipeg street in fog and slush on Thursday. 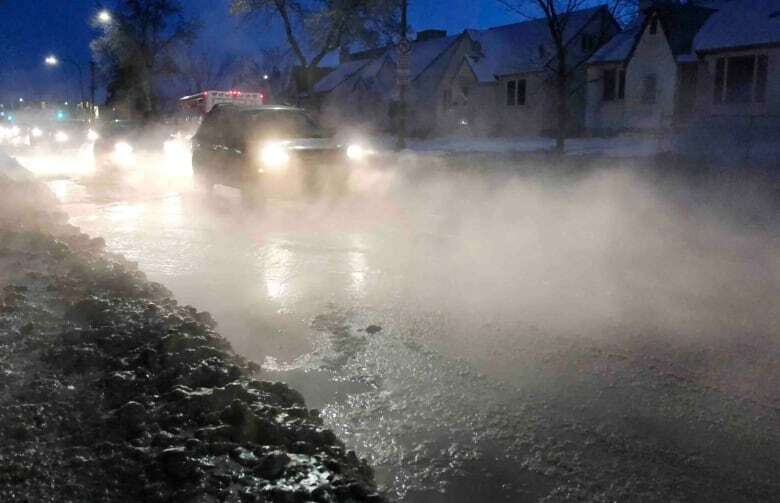 The break, near St. Edward the Confessor Church at Arlington Street and Adele Avenue in the city's West End, made it tricky for vehicles to navigate the icy puddles and clouds of vapour reflected in their headlights. City crews arrived around 7:30 a.m. to work in the frosty darkness. The temperature early on Thursday was –24 C with a wind chill that made it feel more like –33, but it had warmed up to –21 C (with a –24 wind chill) when crews arrived. The forecast high is only supposed to be –17 C, much chillier than the normal high of –8 C for this time of year.